The Thai embassy in Cambodia is located in Phnom Penh. 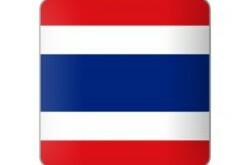 This embassy can issue you with a Thai visa for Thailand. They have become very strict over the last few years with issuing back-to-back visas. As an example if you have had 2 marriage visas back to back they will not issue you with another and will advice you to have the visas extended in Thailand. As with tourist visas they will want you to show a copy of a rental or hotel account and an onward airline ticket back home before they issue you a 3rd tourist visas. The visas also takes anywhere from 2-3 days to issue the visa and from time to time they may take 4-5 days. Call or email the Thai embassy in Phnom Penh before you attempt to apply for a visa there. As for the business visa you will need all the documents from your school or company. If you have been issued a business visa before without having applied for a work permit it may become an issue even with all the correct paperwork. Office Hours : Monday - Friday 08.30–12.00 hrs. and 14.00–17.00 hrs. 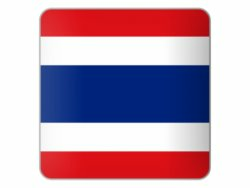 UPDATE: December 2014 – Note the Thai Embassy in Cambodia now expects you to show an airline ticket out of Thailand before they issue you with a tourist visa. Your marriage visa and business visa and the education visa does not require this.